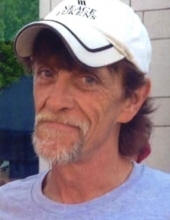 Christopher Michael Williams, 53, of Catlettsburg, passed away Saturday, April 6, 2019 at his home. Mr. Williams was born May 28, 1965 in Ashland, KY to the late Deleros Ralston and George Shannon. He was also preceded in death by sister, Linda Wlliams. Chris was a graduate of Boyd County High School and a self employed mechanic. He enjoyed working on cars and spending time with his family. He was a member of The House of Grace. Left behind are his daughters, Brandie Porter (Chris) of Boyd County, KY, Leia Willams (Drew) of Catlettsburg, Lacie Willams (Tyler) of Catlettsburg, granddaughter, Casie Porter, girlfriend, Regina Russell, brother, Mitchell Williams (Tonya) of Catlettsburg, sister, Joyce Gillian (Eddie) of South Carolina, and former wife, Denise Watts. Memorial Service for Mr. Williams at 6:30pm, Thursday, April 11, 2019, at the Neal Funeral Home, 2409 Center Street, Catlettsburg. Visiting hours are 5pm until Service time Thursday evening. To send flowers or a remembrance gift to the family of Christopher Michael Williams, please visit our Tribute Store. "Email Address" would like to share the life celebration of Christopher Michael Williams. Click on the "link" to go to share a favorite memory or leave a condolence message for the family.